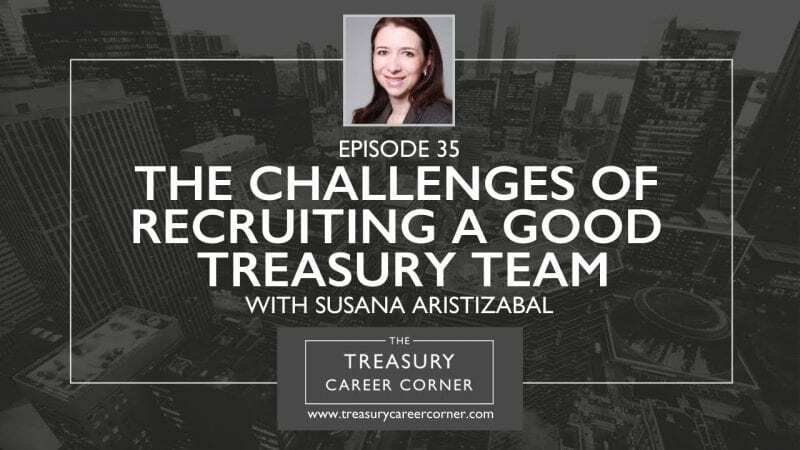 I’m thrilled to be joined by Susana Aristizabal, the Assistant Treasurer at Bombardier Transportation on this episode of The Treasury Career Corner podcast. Susana Aristizabal is originally from Colombia. She holds a graduate diploma in International Business from McGill and an MBA from HEC Montreal. She is a Certified Treasury Professional (C.T.P.) and joined Bombardier in July 2005 as a member of the Corporate Treasury department. She moved to Zurich in October 2008 to head the Cash Management team, where she was responsible for the transportation bank account structure and governance of the payment traffic. Her role was expanded in 2011 to include FX risk management and hedge accounting. Since 2012, Susana is the Assistant Treasurer overseeing Treasury operations, FX Risk Management, Cash Management and Treasury Controlling for the Transportation Group worldwide. Susana has worked as a management consultant for the banking industry in her home country and has years of experience as Lecturer of Treasury Management and Applied Corporate Finance at McGill University. If you would like to get in touch with Susana, you can connect with her via her LinkedIn profile.